Are you loco for cocoa? Think candy is dandy? 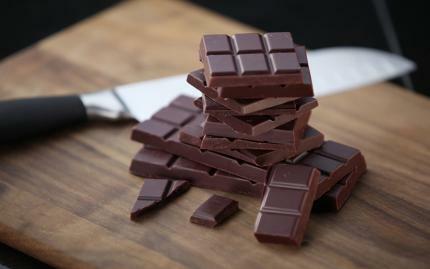 Then you might want to check out this artisanal class featuring yummy chocolate and the art of tempering. Tempering chocolate is the secret to producing professional looking candies, giving it that smooth, silky look, and oh-so-satisfying "snap." You'll be working hands-on during this class under the guidance of a professional chocolatier, so that by the end of the session, you'll be able to create beautiful chocolate pieces all on your own. There are no losers in this class. Except for maybe the Easter Bunny, who might be out of a job. There are no refunds; all sales are final. ; however, you may reschedule to a future date if notice is provided at least 14 days in advance of originally scheduled date. I thought I knew chocolate, but boy, what I wrong. I recently took a class with some colleagues, and the whole experience was lovely. Everything Rachel Dunn Chocolates does, is done with quality. Many historic techniques and practices are dying out, but Rachel Dunn Chocolates keeps them alive. Michael Dunn was our guide. He's awesome. Rachel Dunn Chocolates has an amazing variety of chocolates! I've taken the chocolate making class at Rachel Dunn a couple of times and it's always a lot of fun. I had no idea chocolate making was so complicated. Thankfully, chocolate is worth it! Michael Dunn was our instructor at both of the classes I took. He is very thorough and= showed us how to make various types of chocolates, including truffles, peanut butter cups, and nut clusters, etc. We made white chocolates, milk chocolates, and dark chocolates. After class, we had the opportunity to roam around the store and, wow, they offer a lot of chocolate - chocolate covered popcorn, chocolate covered apples, and much much more. I would definitely recommend checking out Rachel Dunn chocolates. This place is amazing. I love their baby apple, pumpkin seed brittle, cashew and almond brittle, caramel almond crispy egg is good too. Next time I'm trying the coconut brittle. A fantastic chocolate experience. From making it yourself to seating it. Yum.